Waircom is specialized in the production of pneumatic components for industrial automation. Since 1993, we have been able to achieve high quality products, enabling us to gain over time the trust and the esteem of our clients. Over the last 20 years, we have developed to the present situation, which includes three production sites and headquarters that can meet the needs of the worldwide requests. Waircom is synonymous with reliability and safety, in fact all of our products reflect the standards foreseen by current regulations. To receive more information about our products, please feel free to contact us, we will be glad to answer all of your questions. 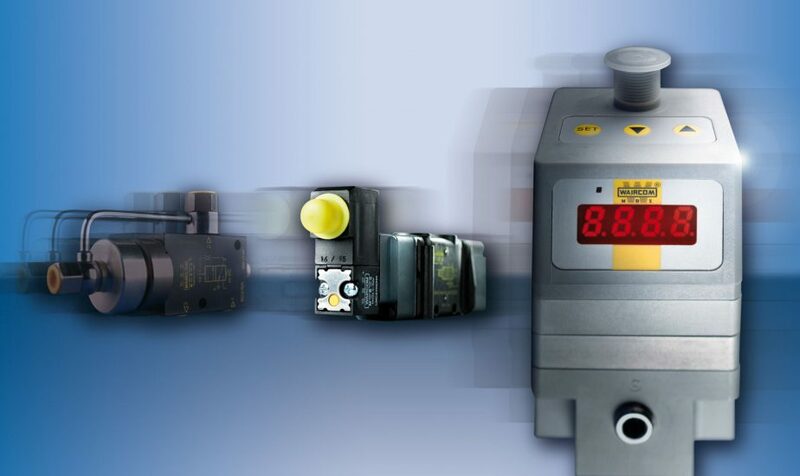 We are specialized in manufacturing of pneumatic components for industrial automation. We operate internationally, selling our products worldwide. Our distributors operate on all continents, from Europe to Asia, from Australia to America. Namely our products can be found in Europe: Italy, Netherlands, Belgium, United Kingdom, France, Spain, Portugal, Switzerland, Germany, Denmark, Poland, Greece, Cyprus, Slovenia, Turkey and the Czech Republic; Africa and in the Middle East: South Africa, Zimbabwe, Egypt, Saudi Arabia, Iran, the UAE, Pakistan and Syria; and in the Far East: Japan, China, Singapore, Vietnam, Thailand and Malaysia. In addition to all these countries, you can find our products also in Australia, Colombia, Peru, Mexico, United States and Canada. Contact us for more information and to find out the closest dealer. Quality is not a “empty” word. Quality in Waircom means respect of scrupulous production cycles, 100% meticulous testing of every single product and 100% of the production made in Italy; this allows us to have all the working processes under control and an integrated, flexible and coordinated production management, always able to cope with any emergency. Nevertheless, speed is nothing if the accuracy is lacking. Waircom technology has the appropriate tools to ensure the needed level of precision, machining centres, CNC turning centers, anthropomorphic robot , profile projector, superficial treatment thickness testing machines and hardness control, gauging tools, etc. . High technology witness our unwavering commitment to the highest quality. The Company’s mission is to secure clients loyalty with the full satisfaction of their specific requirements, having as sole prerequisite the orientation towards continuous improvement in terms of productive efficiency and cost optimization. As a natural result for this business policy, our company has been upgrading its Quality Management System, now complying with the UNI EN ISO 9001 standard. This important result is due to a constant attention to the quality of our products, but also to the contribution received from our Clients as well as from our Suppliers. For more information about our products or any other information, please feel free to contact us. For more information on our products, please visit our dedicated catalogs and if you have any questions, please feel free to contact us.